At the sight of the crowds, his heart was moved with pity for them because they were troubled and abandoned, like sheep without a shepherd. Then he said to his disciples, "The harvest is abundant but the laborers are few; so ask the master of the harvest to send out laborers for his harvest." Then he summoned his twelve disciples and gave them authority over unclean spirits to drive them out and to cure every disease and every illness. The names of the twelve apostles are these: first, Simon called Peter, and his brother Andrew; James, the son of Zebeedee, and brother John; Philip and Bartholomew, Thomas and Matthew the tax collector; James, the son of Alphaeus, and Thaddeus; Simon the Cananean, and Judas Iscariot who betrayed him. Jesus sent out these twelve after instructing them thus, "Do not go into pagan territory or enter a Samaritan town. Go rather to the lost sheep of the house of Israel. As you go, make this proclamation: 'The kingdom of heaven is at hand.' Cure the sick, raise the dead, cleanse lepers, drive out demons. Without cost you have received; without cost you are to give. Do not take gold or silver or copper for your belts; no sack for the journey, or a second tunic, or sandals, or walking stick. The laborer deserves his keep. If a man is known by the company he keeps, then what do the Twelve Apostles tell us about the Lord? After all, they were not always the most impressive men. 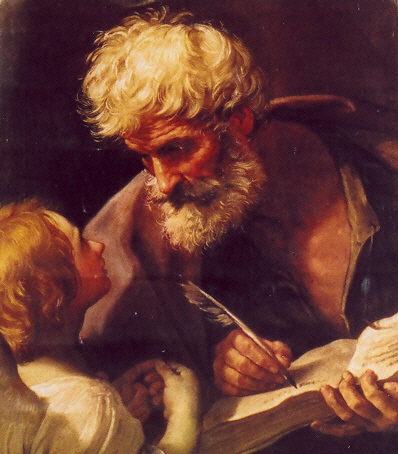 Peter merited our Lord's rebuke when he tried to sway Him from His mission. James and John received a similar scolding when they wanted to call down fire from heaven. All Twelve failed to understand our Lord's prophecies of the Passion, and they all abandoned Him at His arrest. Peter denied Him, and only John remained at the cross. Nevertheless, our Lord Himself chose them as His companions, confidants and representatives. And His Church rests on the foundation of the Apostles. All of which indicates that we can know something about Him by this company He kept. Consider the simple fact that our Lord "summoned the Twelve" (Mt 10:1). He called them together on His own initiative. As He would explain later, they did not choose Him - He chose them. They were not a bunch of friends who decided to follow Him. In fact, many would not have chosen to associate with one another at all - had it not been for our Lord. Would those hardworking fishermen have otherwise befriended Matthew the tax collector? Would the practical minded fishermen and tax collector hang out with Simon the Zealot? Something more than mere human affection and shared interests brought them together. Our Lord was the principle of unity for the Apostles. He united them. When they lost sight of Him and His example, division arose and the quarreled with one another (cf Mk 9:34; 10:41; Lk 22:24). Their shared love for and devotion to our Lord brought those difference men together, and He made them, in the simple words of Scripture, "the Twelve." As with the Apostles, so also with the Church founded upon them. The principle of the Church's unity is our Lord. We call the Church "one" because Her founder is one. No economic system, political party, social construct - or even professional sports team! - can establish unity between the diverse peoples of the world. Our Lord alone unites people of every race, age, profession, class, etc. At His crib in Bethlehem we find both the shepherds and the magi - that is, the poor and the wealthy, the uneducated and the learned, Jews and Gentiles. Many religions attract one group or another. Our Lord founded the Church upon the Apostles to attract all groups and make them one. The same is true at a parish church on any given Sunday. It may be impolite to observe this, but parishioners do not attend Mass together simply because they have the same backgrounds, or interests, and not (dare we say it?) simply because they like each other. Certainly, some parishioners have such things in common. But ultimately, they come together at Mass because they share the need for His mercy and the desire to follow Him. The common focus on our Lord unites people in a parish. Those who in the world's eyes have little in common suddenly realize that they share the one thing necessary: the Lord Himself. And if they lose that focus on the Lord and unite on some lesser good, they cease to be Catholic and become a clique instead. Our Lord truly kept the company of Apostles. He kept them together. He kept them with Him before He sent them out. He kept them as "the Twelve," and as one. He similarly keeps the Church today, preserving her unity and sanctifying her members. May we always find ourselves in the company He keeps.